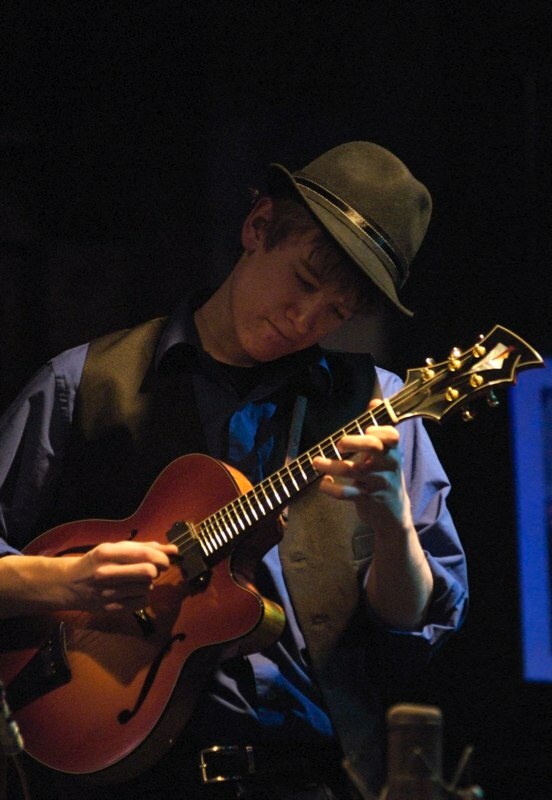 An exceptional young jazz player from Philadelphia, Bryce plays gypsy jazz with Beau Django and has guested with a host of musicians, from David Grisman to Vasen to Darol Anger. His 5-string electric is by Fletcher Brock. Get the skinny at Bryce's MySpace page.